Insight’s Oliver! What Shall We Do? Oliver! is the classic musical, based on the Charles Dickens novel Oliver Twist, that tells the story of an earnest young orphan who escapes life in a workhouse to explore life in 19th century London, eventually falling in with a gang of child pickpockets led by the devious and charming old scoundrel Fagin. 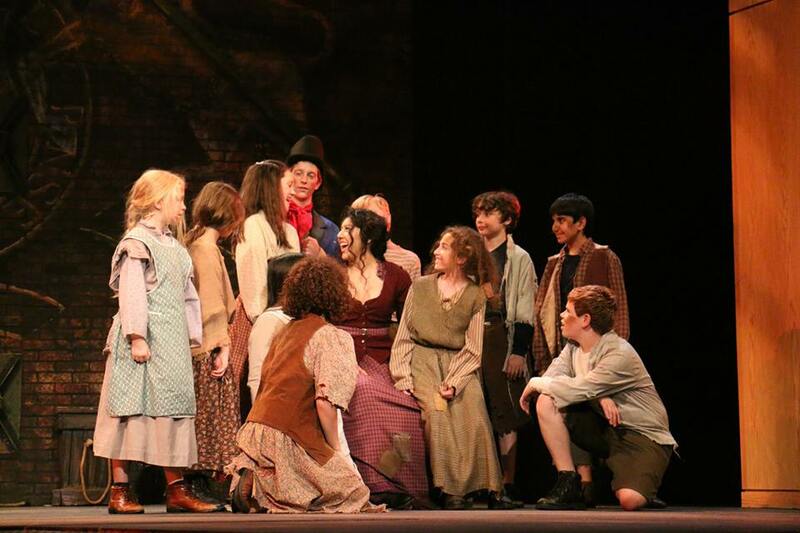 Featuring memorable characters like the Artful Dodger, Nancy and the villainous Bill Sikes, Oliver! has been produced many times over the years on Broadway, in London’s West End, and in various regional and school productions over the past few decades, in addition to its adaptation into the very well known and much-beloved Oscar-winning film. I had been looking forward to seeing Insight Theatre Company’s current production, because I had heard and read wonderful things about this theatre company, and this is a show I know fairly well. This is a company that often features some of the best of St. Louis theatrical talent, and I do wish to see more productions from Insight in the future. Still, it’s unfortunate to have to write that I was disappointed, but that’s what I have to do. While this production looks great and has several good points, for the most part I find it to be problematic at best. To start with the good, I must say that from a purely visual perspective, this production looks stunning. With a richly detailed unit set by Margery and Peter Spack, delightful costumes by Laura Hanson, and excellent atmospheric lighting designed by Seth Jackson, this show is a treat for the eyes. There’s also some excellent, energetic choreography by James Compton and Libby Salvia, and it’s in several of the ensemble numbers such as “It’s a Fine Life” and “Oom Pa Pa” and the second half of “Consider Yourself” that this production is at its best. There are also some standout performances by Spencer Davis Milford as a particularly energetic and likable Artful Dodger (even if he does seem a bit old for the role) and, especially, Jennifer Theby-Quinn in a scene-stealing performance as opportunistic workhouse matron Mrs. Corney. 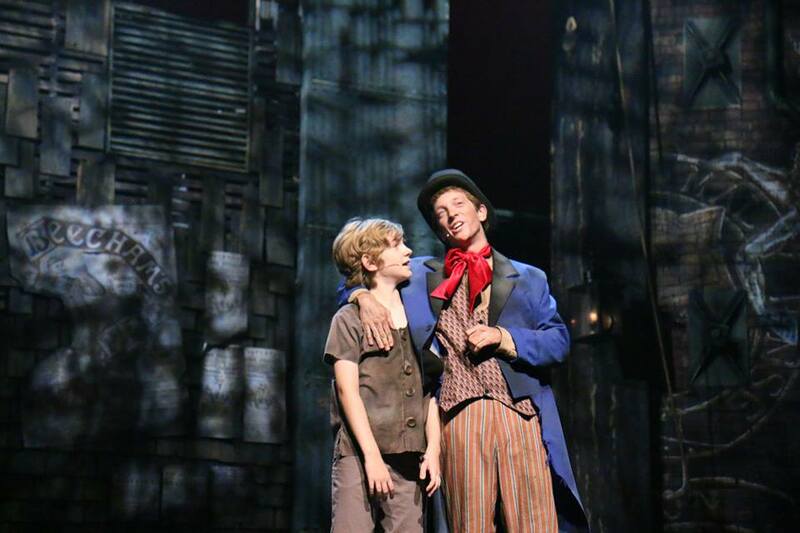 Ryan gives a generally appealing performance as Oliver, especially in his scenes with Dodger and Fagin’s gang. There’s also a very convincing bond between Dodger and Nancy (Cherlynn Alvarez), which lends a degree of poignancy to some moments. Even with this production’s strengths, I think they are overshadowed by its problems. First of all, the sound quality is very muddled. It’s difficult to understand what many of the performers are saying or, in the solo musical numbers, singing. Also, several of the leading performances strike me as confusing and oddly unfinished, coming across as more of a first run-through kind of characterization rather than a complete performance. Alvarez shows a lot of potential as Nancy, with a great voice and a very good rapport with the kids in the scenes in Fagin’s lair, as well as a very strong performance of “Oom Pah Pah” with the adult ensemble. Her most famous number, “As Long As He Needs Me” is mostly very good if lacking in volume. Her stage presence, however, is hit-or-miss, and her later scenes are oddly paced and lack dramatic weight. Amoroso comes across more as an ineffectual bully than a truly menacing Sikes, as well, and Marc Strathman as the workhouse beadle Mr. Bumble lacks energy and presence, as do several of the other cast members. The most problematic performance, though, comes from Knoll as Fagin. He performs the role with two very different voices, for one thing–a higher, reedy-sounding voice in some moments of the songs, and a somewhat lower voice for his speaking and some singing moments. This ends up sounding disjointed since he just jumps between the two sounds with very little attempt to blend them. His best moments are with his gang of pickpockets. “Be Back Soon” has its moments, especially, but his big solo “Reviewing the Situation” is just strange. The pacing is off and he even changes the melody and rhythm of parts of it, which is jarring and distracting. He seems like an actor playing Fagin rather than simply the character. I also find the overall pacing of the show to be uneven. The first act ends abruptly and without the sense of suspense that the scene calls for, and all of the scenes between Nancy and Bill Sikes come across as rushed and unconvincing. The climactic scene also seems cluttered and confusing, and two major character exits end up losing their dramatic impact as a result. At other times, such as in the scenes with Mr. Brownlow (Troy Turnipseed), the pacing seems to drag. The usually delightful “Who Will Buy” is a bit of a mess, as well. While this production has its good moments and great visual appeal, overall I find it mostly unfulfilling, especially in the direction, pacing, and overall lack of energy among most of the leading performers. Browsing through the production photos on the company’s Facebook page, I’m again struck by how vibrant this production looks. Unfortunately, that vibrancy is only superficial, and while there are some bright spots in this production, the overall impression is, sadly, one of style over substance.